This will be a day long remembered. In true super power fashion, Bat in the Sun Studios, known for their show "Super Power Beat Down"-which pits two super powered heroes/villains against each other in a battle to the death, usually based on fan suggestions, has just brought their latest battle to a new level by putting the greatest super hero up against the greatest villain. 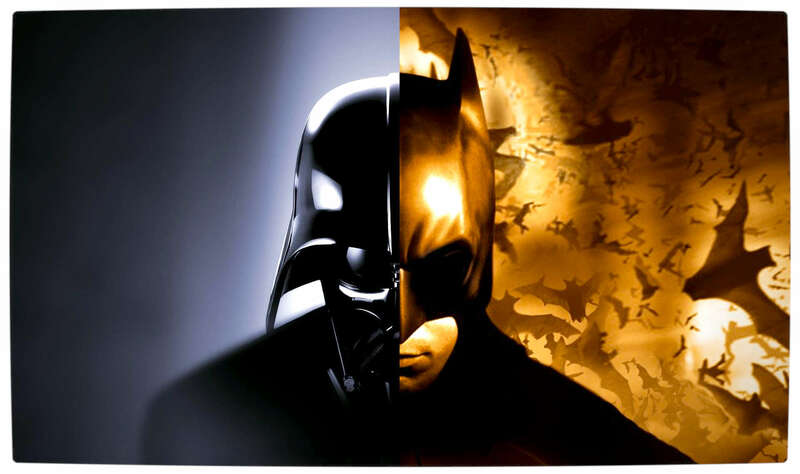 The latest episode of "Super Power Beat Down" joins the dark side-in more ways than one, pitting the Dark Knight against the Dark Lord of the Sith. 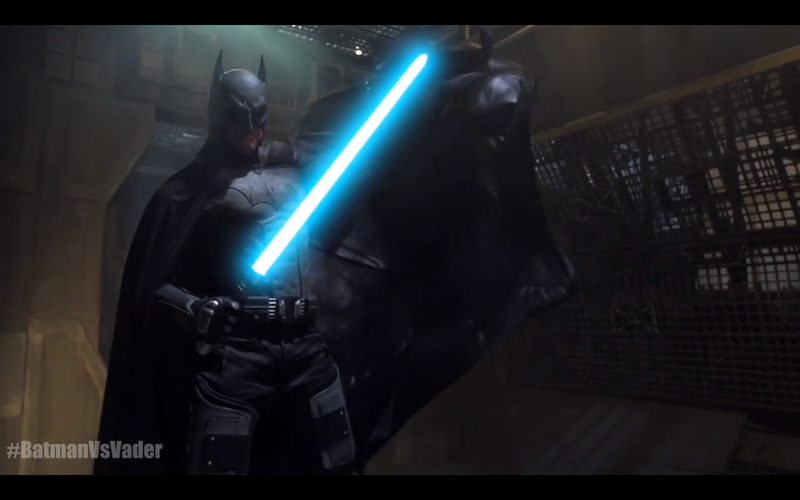 Can Gotham's Dark Knight bring justice to the galaxy, or will he underestimate the power of the dark side? Check out the latest episode and see for yourself. Regardless of how Darth Vader was able to capture Superman, or how Batman is able to skillfully wield a lightsaber (I'll tell you how-he's the god damned Batman, that's how), this is definitely a battle fans have wanted to see for a very long time, and whether or not you agree with the outcome, this is certainly a fight for the ages. You can see more amazing mash-up battles at the Bat in the Sun Youtube page. Who do you think should have won? Let us know in the comments!